I love having a bottle of Prosecco around – there are so many cocktails that use it almost like a club soda. It acts like a club soda, only it’s much tastier. We picked up some Creme de Violette after I became enamored with the Aviation cocktail. I loved it’s floral flavor and it’s pretty deep lavender color. 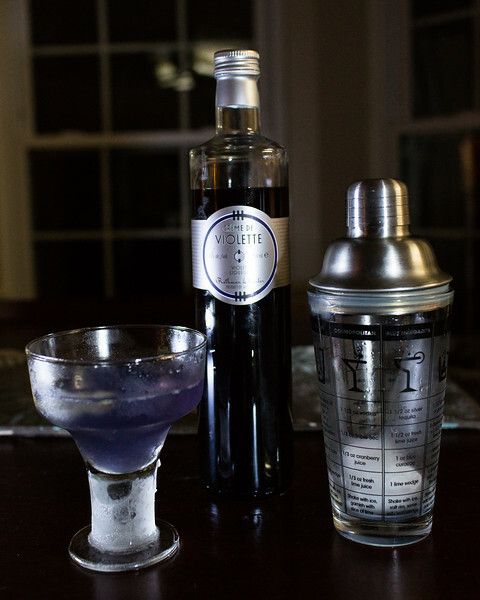 So, we went searching for something using Creme de Violette and our Prosecco, turns out there is a very simple cocktail called the Violette Prosecco Cocktail! It’s so simple really – just some of the Creme de Violette, lemon juice, and top with Prosecco! Mix the creme de violette, lemon juice, and ice in a shaker. Shake for about 30 seconds to chill and properly dilute. Strain into a small glass and top with Prosecco.